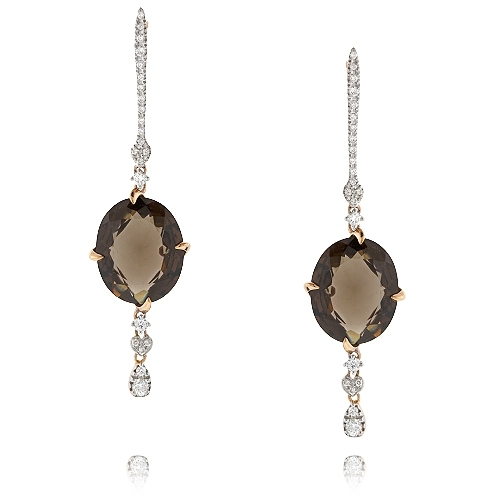 Oval shaped chocolate quartz set in a dangling strip of white diamonds mounted in 18k rose gold. Diamonds approx..63ct. Earrings 2.25"